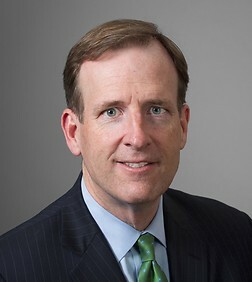 Mr. Jack Kiley is a partner in the Labor & Employment Practice Group in the firm's New York office. Mr. Kiley represents management in all areas of labor and employment law, from advice and counseling to litigation to collective bargaining. His representative clients range from Fortune 100 corporations to not-for-profit agencies. Mr. Kiley expands the firm's capabilities in areas such as securities arbitrations, labor union organizing, contract negotiations and board proceedings. He has litigated and arbitrated numerous cases in federal and state courts and before the National Association of Securities Dealers (NASD), New York Stock Exchange (NYSE) and American Arbitration Association (AAA). He has successfully defended against organizing campaigns, represented employers in collective bargaining and defended against NLRB proceedings. Mr. Kiley also routinely partners with human resource professionals, management and in-house counsel in providing consultation, advice and training on all matters having labor and employment implications, including legal compliance issues, employee performance management, reductions-in-force and facility closings, employment contracts and union awareness. Money Brokers Less Bullish on Talent Poaching After $9M Verdict?